President Obama: Plans and Impediments » Ambassador Fabian’s blog, KP Fabian, Analyst - international political developments, global issues, Indian national issues. Let us learn our lessons .Never, never, never believe any war will be smooth and easy, or that any one who embarks on that strange voyage can measure the tides and hurricanes he will encounter. The Statesman who yields to war fever must realize that once the signal is given, he is no longer the master of policy but the slave of unforeseeable and uncontrollable events. Antiquated War Offices, weak, incompetent or arrogant Commanders ,untrustworthy allies, hostile neutrals, malignant Fortune, ugly surprises, awful miscalculations-all take their seats at the Council Board on the morrow of a declaration of war. (Winston Churchill, My Early Life,1930). Whether Churchill was President George Bush’s favorite author or not, it is obvious that he disagreed totally with the British Prime Minister. However, what was written in 1930 applies with painful pertinence to the wars started by the 43rd President of the United States in his eight years of office. The reason why this article on President Obama starts with a reference to his predecessor is that as Heraclitus said, “You can’t step into the same stream twice.” No statesman starts with a tabula rasa .A good part of the Bush legacy will remain and Obama is not a surgeon who can through a skillful operation remove defective organs from the body politic. Just as President Bush’s war on Iraq was far from ‘smooth and easy’, so will be, perhaps to a lesser degree, President Obama’s withdrawal of troops. The legacy that President Obama has inherited is not only from his immediate predecessor but also from earlier ones. A caveat has to be stated right at the start. This assessment is being written 94 days after Barrack Hussein Obama, 47, took over as the 44th President of the United States. Obviously, it is preposterously premature now to figure out his plans for America, and how he will tackle the obstacles in his way, during the four or eight years he will be holding office. At 47 he is young and resilient enough to resort to course correction as he proceeds towards his goal. As Defence Secretary Robert Gates has pointed out, President Obama at cabinet meetings wishes to hear from every one present. Nevertheless, there are enough indications to make out a tentative assessment of President Obama’s plans and the impediments that lie within and without his own country in the way of carrying out such plans. The principal ingredients of the legacy that Obama inherited can be briefly listed: An economy in deepening distress with no recovery in sight; two wars that have lasted longer than the Second World War, again ,with no clear end in sight, with the Pentagon critically ,and even perilously, overstretched; America’s relations with a number of countries in a state of disrepair; America’s reputation for “paying decent respect to the opinions of mankind” in tatters; and above all, a growing perception that America cannot lead in the right direction. Instead of looking for Obama’s grand strategy it is better and more convenient to deal with specific themes. A grand strategy might have appeared to make sense in the Cold War era with its deceptive certitudes. The world has moved away from unipolarity if ever it was there, and a multi-polar structure is coming into being slowly but steadily. Some scholars even speak of a no-polar world. Of course, the US predominance is still there and that predominance, even if slightly diminished will be there for the foreseeable future. But, there are limits to America’s power to destroy and to use such power to impose its agenda on the rest of the world. America’s power to destroy cannot be used against Western Europe, say France, by bombing the Eiffel Tower. In any case, America’s power to destroy exceeds by far its power to construct. President Bush has demonstrated the obvious at an unconscionable cost over a period of eight years. The Obama Administration is correctly talking in terms of “smart power”, a flexible combination of hard power and soft power. It also seems to understand the obvious truth that the more one uses the hard power correspondingly less will be one’s ability to use the soft power. As we consider the themes we should start with a brief account of the Bush legacy in each case. In view of the enormous amount of resources, human and material, and above all, presidential attention and time, that Bush devoted to it, Iraq is the obvious starting point. President Obama has announced plans to withdraw all combat brigades(92,000 to 107,000 out of the 142,000 troops presently in Iraq) by August 31, 2010 , and thereafter to withdraw all troops by the end of 2011 as per the Status of Forces Agreement(SOFA) between Iraq and US. We might recall that the SOFA(17th November 2008) was agreed upon by Iraq after months of delay and that too only under sustained pressure by the Bush Administration and after Obama’s election. Obama has made it abundantly clear that he has no intention of stationing troops in Iraq. It is important to recognize the significance of Obama’s decision not to station troops in Iraq. Under Bush the Pentagon had built or started to build more than a dozen big bases for permanently stationing US troops in Iraq. US has been seeking bases in the area, particularly under Carter who ,following the 1979 Iranian Revolution established the Rapid Deployment Joint Task Force that eventually grew into the Central Command under Reagan. It may be noted that the Pentagon has bases in the Gulf Cooperation Council states, but the plan under Bush was to progressively transfer troops from Saudi Arabia to Iraq. Those who have criticized Obama for not strictly adhering to his campaign pledge to start withdrawing within 16 months of his taking office do not seem to understand the complications of the matter. When it comes to Iraq, the pulling out of troops is only a part of what America has to do. There is a much larger picture: the implications and repercussions of such a pull out. What are the impediments in the way of the announced withdrawal? There are no impediments within the US as such. The Pentagon , like Samuel Taylor Coleridge’s ancient mariner who was made to carry around his neck the huge albatross he killed , will be relieved to get out of Iraq. But as US troops depart, the fragile polity in Iraq might start breaking up. The Shias and the Sunnis might fight each other. The presence of US troops has acted as a constraint on extremists on both sides. Over 4 million Iraqis, mostly Sunnis, have been displaced. If and when they start coming back there will be property and other disputes. The Regional Kurdistan Government in the north led by Massoud Barzani might clash with the Central Government in Baghdad; already there is much personal illwill between Barzani and Prime Minister Malaki. A Norwegian oil company to which Barazani gave a contract without clearance from Baghdad will soon start producing oil and a dispute on the sharing of the proceeds might trigger a bigger clash. Obama himself in his speech announcing the decision on withdrawal (Camp Lejeune , 27/02/2009) made it clear that he was not declaring victory. “But, let there be no doubt Iraq is not secure, and there will be difficult days ahead. Violence will continue to be part of life in Iraq .Too many fundamental questions about Iraq’s future remain unresolved.” In other words, Obama does not want to chase for ever the mirage of an Iraq at peace within, democratic, and friendly to US. But if Iraq rapidly descends into chaos following the withdrawal Obama will be blamed. There is one important factor that can spoil Obama’s plans that he wisely omitted to mention, and that takes us to the next theme: Iran. When the withdrawal of US troops starts, if Iran wants to spoil Obama’s plans it can easily do so by engineering a Shia rebellion against regimes in Bahrain(Shia majority, but under Sunni rule) and Saudi Arabia which has both oil and Shias concentrated in its eastern part. There is also much that Iran can potentially do in Iraq itself to spoil Obama’s plans . If Obama were to interrupt the withdrawal of troops as a result of such regional repercussions, that will be a big set back for him. Gates is not exactly accurate. He made the statement in April 2008. President Bush never seriously tried to open a dialogue to arrive at a rapprochement. When 9/11 happened, there were spontaneous candle light vigils in Teheran to honor the victims. At Friday prayers the ritual chant of “Death to America” was dropped. Washington failed to take note of all this and in three months Bush came out with his State of the Union speech with the regrettable reference to the Axis of Evil consisting of Iran, Iraq, and North Korea. Though the Obama Administration has announced its willingness to talk to Iran, it does not seem to have fully settled an internal debate as to when to start direct bilateral talks and what position to take in the talks. While no reports have appeared of such talks, one cannot rule out the possibility that some talks in secret are taking place. It would not have escaped Obama’s attention that without a rapprochement with Iran his plans for pulling out troops from Iraq might run into serious problems. Meanwhile, Iran was invited and did take part in “the big tent meeting” on Afghanistan held in the Netherlands.A number of observers believe that the more the US opposes Ahmedinejad, the more domestic support he might gain in the forthcoming election. Iran had seriously planned to make nuclear bombs in the past mainly because of fear of Saddam Hussein’s Iraq. The CIA in its National Intelligence Report for 2007 concluded “with high confidence” that Iran stopped its nuclear weapon programme (Project 111) in 2003 “in response to international pressure.” The agency added “with moderate confidence” that Iran has not restarted the programme. Iran might or might not have nuclear ambitions , but what matters is a programme under implementation to make a bomb. Is it possible to figure out a rational bargain between Iran and USA? On reflection, it is not all that difficult. Iran has about a thousand kg of uranium enriched to the level of industrial use for power generation; it has not so far enriched any quantity of uranium to the level required for weaponization. If IAEA inspectors can keep an eye on Iran’s uranium piles, it follows that Iran cannot have any weapons-grade uranium. Of course, it can be argued that at some future date when its secret preparations(if they exist) are ready Iran might throw out the IAEA and in short order produce a weapon. Therefore, it is important to stop Iran from enriching uranium even for power generation. The argument is theoretically correct, but in the real world it is most unlikely that any government in Iran will agree to forego the right to enrich uranium. The idea of Israel’s doing a repeat of what it did to Iraq’s reactor(Osirak) in 1981 is fraught with grave , unforeseen and unmanageable consequences. What is important is to prevent Iran from gaining the nuclear-weapon making capability and not insist on its confessing to all that did in the past. Such an approach seeking full confession and penitence from Iraq contributed much to the terrible mistake made by Bush. Obama will come under pressure from Israel not to concede to Iran’s right to uranium enrichment to the industrial grade. A little out-of-the-box thinking will show that conceding Iran’s right to enrich uranium up to the industrial level and keeping an eye on that is the best way to prevent Iran from acquiring a bomb. To kick-start the talks with Iran Obama would need to meet Iranian expectations by de-freezing the Iranian funds ($ 7 billion?) lying in US banks or lifting the ban on export of parts of civilian aircraft to Iran. While a review of policy on Iran is yet to be completed, Obama has started to “soften up” Iran as will be explained when we deal with Russia and Syria. The Obama Administration has moved much faster with Syria than with Iran and announced(March 03,2009) its decision to send two senior officials to Damascus. Interestingly enough, the announcement was made by Secretary of State Clinton while on a visit to Israel. Israel too has been talking to Syria(the last known talks took place in Turkey late 2008). The US-Israeli offer to Syria is that if it normalizes relations with Israel ,cuts links with Hizbollah and Hamas, and downgrades its relations with Iran, then Washington will normalize its relations with Damascus and Israel will vacate from the Golan Heights. The air raid that Israel carried out on al-Kibar in Syria in September 2008 was done with the knowledge of President Bush. The US intelligence has been convinced by the evidence produced by their Israeli counterparts that there was a North Korean supplied nuclear plant at al-Kabir. So far there has been no independent verification. Whether there was any nuclear plant or not, the raid demonstrated Syria’s vulnerability to Israeli air attacks. In the past Israeli attempts to disconnect Syria from Iran, Hamas, and Hizbollah have not borne fruit. But, there is a better probability of success this time. There might be some thought on the part of Washington to “soften up” Iran by talking to Syria first. The latest is that the US envoys (Jeffrey Feltman and Daniel Shapiro) met with Syrian Foreign Minister Walid Muallem for four hours(March 07,2009). The Syrian media did not give much prominence to the talks and it is to be noted that the US envoys did not get a chance to meet with President Assad. But, Syria will be keen to get the US involved in its talks with Israel and the prospects of progress with Syria are good. Moving to the question of Palestine, the official position of the Obama Administration is that it wants to implement “the two-state solution” by getting established an independent Palestinian state with due regard to the security of Israel. Hillary Clinton took the initiative to get George Mitchell appointed as Special Envoy . What are the prospects of real movement as opposed to rhetorical progress? One would need an extraordinary level of optimism to conclude that a Palestinian state will be established under Obama’s watch. It is conventional wisdom to assert that the Israel-Palestine dispute is the central issue in the Middle East. Looking at history so far one might as well assert that it is highly unlikely that this issue will be resolved in the foreseeable future. An independent Palestinian state can be established only when three conditions are met simultaneously. One, Israel should accept an independent Palestinian state with boundaries that Palestinians can agree to. Two, the Palestinians should be reasonably united to talk to Israel with one voice and no rockets should be sent to Israel. The third condition is that US should be able and willing to put the necessary pressure on both parties, especially Israel, to reach an agreement to be implemented promptly. Any formula to the effect that Palestinians will be rewarded with a state for ‘good behaviour’ over a period of time is bound to fail as it puts the cart before the horse. The much talked about Road Map does not seem to have been a serious effort in retrospect. In brief, there are impediments within and without US to the establishment of an independent Palestinian state. As mentioned in the beginning, a good deal of the Bush and pre-Bush legacy remains as demonstrated when, Ambassador Charles Freeman , Obama’s nominee to the Chair of the National Intelligence Council withdrew himself after the neo-cons attacked him for his ‘anti-Israel’ position. The latest is that Obama has decided to talk separately to Egypt, Israel, and Palestinian Authority. Israel’s new Foreign Minister Avigdor Lieberman has made it abundantly clear that Israel has no intention of bartering territory for peace. There are better prospects for the emergence of a Palestinian state during Obama’s second term than in the first one. By making a serious effort to establish a Palestinian state, Obama might be risking his chances for a second term. Turning to Afghanistan , the fundamental question to ask is : What are the US goals in Afghanistan and are they achievable given the ground realities? It should be borne in mind that the Bush Administration often painted victory and progress when there was neither. The writ of the government in Kabul does not seem to run much beyond; the opium cultivation has increased phenomenally, with the turn over running into about $4000 million per annum , about 5 times Afghanistan’s budget. There is an estimate that 600,000 troops are required to bring order to that vast country. That obviously is not a smart-power approach. In any case, US,NATO and the Afghan Government will find it difficult to raise that number of troops. In European NATO member-states the military operations in Afghanistan are becoming more and more unpopular. It has become a commonly held position that if President Bush had not started the war on Iraq and thus diverted resources from Afghanistan much more progress might have been made there. The argument is well taken, but it still begs the fundamental question: Can a country of the size and topography of Afghanistan, given its tribal structure, the temper of the people, and their history of having compelled the retreat of all invading armies in the past, be transformed through external intervention into a democratic polity, ruled by a central government in Kabul, and friendly to US ? The answer is, in large part, in the negative unless a critical number of the people of that country choose to move in that direction. Can the NATO troops remain in place long enough, for 30 or 50 years, for that experiment to be tried out with a reasonable degree of success? It might be the case that foreign troops and civilians cannot do ‘nation-building’ in Afghanistan. Obama is sending more troops to Afghanistan and some parallel has been drawn with the “surge” in Iraq. In this context, it is important to clarify that it was not the much talked about “surge” under Bush that significantly improved the situation in Iraq. The more important factors are that the Al Qaeda had started resorting to violence and intimidation against the Sunni tribes in the Anbar Province and when the Americans offered money the tribal chiefs turned against Al Qaeda. The monthly bill came to $30 million for paying $300 to 100,000 armed men, without taking into account the payments made to tribal chiefs. In Afghanistan it might or might not be possible to replicate the strategy. That probably explains President Obama’s statement that US is willing to talk to the ‘moderate’ Talibans in Afghanistan. General David McKirnan, the Commander of NATO-US forces in Afghanistan has clearly stated that the coalition forces are “struggling in the south” and President Obama himself said that the US and its allies are not winning in Afghanistan. 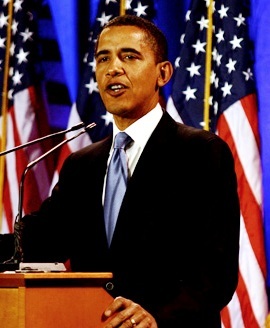 While announcing his policy on Afghanistan (March 27,2009) President Obama said, “”We are in Afghanistan to confront a common enemy that threatens the US, our friends and our allies, and the people of Afghanistan and Pakistan who have suffered the most at the hands of violent extremists…The safety of people around the world is at stake.” . The most important part of the Obama strategy is that he recognizes the nexus between what is happening in Afghanistan and what is happening in Pakistan. Therefore, though it is two countries it is one problem. Serious observers would prefer to call it Pak-Af rather than Af-Pak since the problem is worse on the Pakistan side. The Obama strategy also involves getting more troops from other NATO countries and the prospects of getting more troops are bleak. Another important element is to inject more development aid. Till now a good part of the money has lined the pockets of corrupt officials and their allies. All told, the prospects of Obama’s success in Pak-Af are not brilliant. The lesson US has to learn, if it has not already learnt it, is that ‘nation-building’ in Somalia, Haiti, Kosovo, Afghanistan, and even parts of Pakistan, is historically so different from what happened in Germany and Japan after the end of the Second World War. There is no comparison between the relevant historic settings and in both Japan and Germany there was an elite able and willing to work together with US. Coming to Pakistan when 9/11 occurred it was compelled into declaring itself as an ally of US. Pakistan’s approach to Afghanistan is that it wants a friendly regime in that country in order to gain ‘strategic depth’ vis-à-vis India. The Bush Administration had a different approach to Afghanistan. But Pakistan under Musharraf was able to make the US under Bush believe that the two approaches were compatible and the goals were compossible. Obviously, there is no such compatibility or compossibility. Pakistan is about to implode unless something miraculous happens to prevent such implosion. President Zardari overplayed his hands and dismissed the Chief Minister of the Punjab( brother of Nawz Sharif) and got Nawaz Sharif disqualified from contesting election by the Supreme Court.A chastened Zardari had to dismount from the high horse. But the true cause of worry is that the Government had to surrender the Swat Valley to the control of the Taliban and the latter are expanding their sway into neighboring Buner district. As Secretary of State Hillary put it to the Senate Foreign Affairs Committee Pakistan is facing an “existential threat” and the Government in Islamabad is “abdicating” its responsibility even though the Taliban are only “a few hours from the capital.” The nuclear-armed nation is posing a “mortal threat” to US. It is difficult to believe that more drone attacks will help realize America’s objectives. In fact, such attacks from drones based in Pakistan are of great help to Taliban in recruiting new militants. Essentially, it is a replay of Mary Shelley’s Frankenstein’s Monster. Pakistan is the Frankeistein who,with America’s approval and support brought into being the monster. For years India tried in vain to draw the attention of the US to cross-border terrorism. Much lateral thinking is required to deal with the crisis in Pakistan. So far, the Obama Administration has not shown any signs of such thinking. The Obama Administration has moved fast to ‘re-set’ the relations with Russia. Based on US initiative, the NATO has decided to resume the dialogue suspended in August 2008 when Russia and Georgia clashed militarily. Russia emerged the stronger from that confrontation as the West was unable to lend any military assistance to Georgia, which is believed to have precipitated the clash. But, US will have to take into account Russia’s concerns about the induction of Georgia and Ukraine into NATO that Russia treats as ‘hostile encirclement.’ As regards the ballistic missile defence(BMD) plans with stations in Poland and Czech that the Bush Administration had pursued it is difficult to believe that they were directed only against any threat from Iran. President Obama has written to his Russian counterpart offering to reconsider the plans if Russia assists US in preventing Iran from acquiring nuclear weapon capability and long range missile capability. Once again we see an effort on Obama’s part to ‘soften up’ Iran before starting a dialogue with it. It is difficult to say how Russia will react to the US offer. Russia might say that BMD and Iran are two separate matters. In any case, Russia and US have a vast agenda between them including strategic arms reduction and there are good prospects of the two working together much better than during the Bush presidency. Coming to China there was no need for Obama to use any ‘re-set’ switch. President Bush took good care to cultivate his Chinese garden. To a great extent it was 9/11 that made a difference in Bush’s approach to China. “Officers in the People’s Army were dancing a jig on September12 -not in celebration of the terrible circumstances, but because in one stroke the tone of US-China relations changed. It took the talk of strategic competition off the table, and from then on there was an effort to draw China in on fighting terrorism, the proliferation of weapons of mass destruction, and other strategic security issues.”[ii] China will miss Bush, but its leaders are eminently pragmatic and imaginative and will do their utmost to get along with Obama. The Obama Administration will raise with China matters such as the exchange value of the Chinese currency and human rights. Obama will also have to bear in mind the vast US $ reserves held by China. But, there is no indication of any major confrontation and both Washington and Beijing will take good care to improve and strengthen their bilateral relations. Any assessment of President Obama’s plans and the chances of his success will be fatally incomplete with out a brief reference to the universal economic crisis that the world has witnessed for the first time. It is a multi-dimensional crisis by now though it started with the regulation-free US financial sector primarily owing to reckless greed facilitated by the ‘toxic derivatives.’ The economic crisis would not have come to pass if the financial sector crisis had been handled intelligently and promptly by the Bush Administration. There are two ways in which Obama’s foreign policy goals are linked to his ability to lead the US economy out of the crisis towards a recovery. One, if he fails to bring things under control within one year or less, his popularity and authority will decline and a president who is losing domestic support will not be able to give much attention to foreign policy issues. The second linkage is that the economic crisis will cause a sharp increase in the number of people in the developing countries living below the poverty line of $1.25 a day. According to Ngozi Okmojo-Iweala, Managing Director of the World Bank, the growth rate of developing countries will come down from 5.9% in 2008 to 3% in 2009; every one percentage fall in the growth rate, 20 million human beings will be pushed below the poverty line. Therefore, the World Bank has argued that the rich nations should set apart 0.7% of what they spend on the recovery of their respective economies towards assisting the developing countries. Otherwise, there will be “a lost global generation” and between 1.4 to 2.4 million more babies will die by 2015. [iii] Obama’s election victory excited the imagination of hundreds of millions of human beings across the globe, and if he fails to take the lead in persuading the rich countries to come to the rescue of the poorer countries, there will be much disappointment. It is not possible to deal in this article with all the important dossiers (India, non or rather counter-proliferation, North Korea, Cuba, etc;) in Obama’s ‘in-tray.’ But, before concluding it is necessary to raise two questions of fundamental importance. If he succeeds in the foreign policy realm, President Obama would have exploded the myth of the perennial and inalterable national interest as the basic determinant of foreign policy. It cannot be that such national interest change with the White House incumbent. As the power center of this world is changing from west to east, it is interesting to watch US make drastic changes in its foreign policy, especially its relationship with Iran.